Serving the Denver, Colorado area!! We are a family owned clinic, and we understand that your job is your livelihood. Our goal is to make these exams convenient and affordable for you, and get you back on the road, earning money for you and your family. It’s important to us that every client is treated professionally, with kindness and respect. Pass Your DOT Medical Exam! Dr. Couser knows how important it is that you continue your livelihood as a commercial driver. With his extensive knowledge of the DOT Physical Exam medical guidelines, Dr. Couser will steer you through the DOT Physical Exam requirements so you can Keep on Truckin’. Looking for a DOT Physical Exam or CDL Physical Exam in Denver, Colorado? You’ve come to the right place! 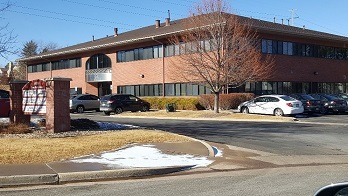 We’re conveniently located in the south Denver area – just 2 miles west of I-25 or 2 miles north of C-470. •From I-25, exit at Arapahoe Rd., westbound. Turn left on S. Holly St., then left on S. Holly Cir. •From eastbound C-470, take the University exit north. Right on Dry Creek, left on S. Holly St., right on S. Holly Cir. •From westbound C-470, take the Quebec exit north. Left on Dry Creek, right on S. Holly St., right on S. Holly Cir. Dr. Christopher Couser, DC, CME, graduated with a Doctorate of Chiropractic from Life University in Marietta, Georgia in 1999. Dr. Chris is a nationally recognized, Certified Medical Examiner (CME) for the state of Colorado performing DOT physical exams for commercial and non-commercial drivers. He has performed thousands of exams, and has been a licensed chiropractor in Colorado for over 16 years. 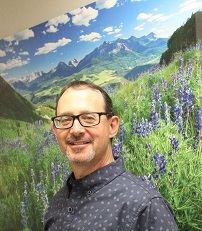 Dr. Chris has lived in the Littleton, CO area since 2002, and has been married to his wife Char for 14 years. Char is a Children’s Ministry Director at their home church. Their adult children are both graduate students – Taylor is getting her Masters degree at the University of Michigan, and Ben is getting his Doctorate at Georgia Tech. Dr. Chris is actively involved in the music ministry at his church, and his hobbies include music, camping, fishing, canoeing, skiing, and auto restoration and customization.